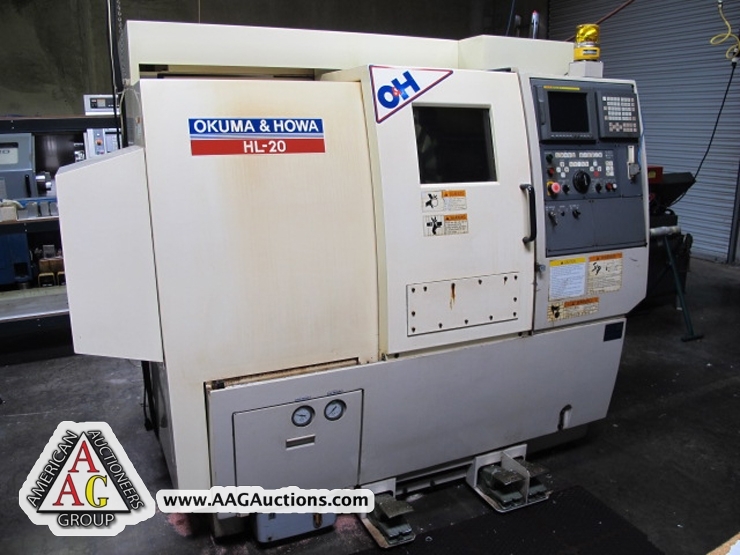 AUCTION DATE: THURSDAY, MARCH 8, 2012 – STARTING @ 11:00 A.M.
2000 OKUMA HOWA HL-20 CNC LATHE, WITH FANUC 18iT CONTROL, 8’’ CHUCK, 16C COLLET NOSE, 2 AXIS, TAIL STOCK, 4500 RPM, 12 POSITION TURRET, LOW HOURS, MACHINE NO. 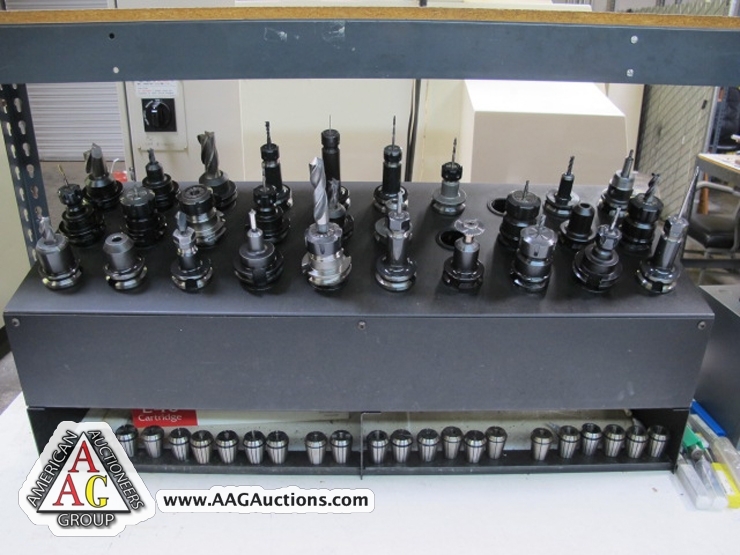 00888. 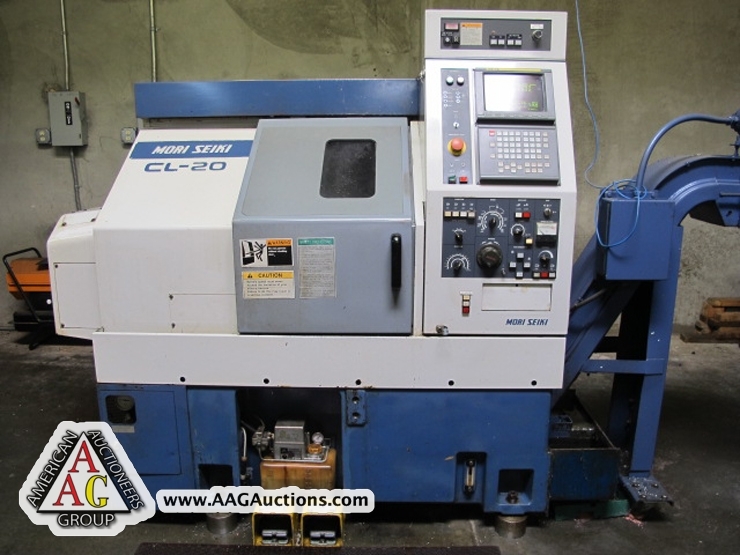 1995 MORI SEIKI CL-20 CNC LATHE, WITH FANUC MF-TB CONTROL, 4000 RPM SPINDLE, 10 POSITION TURRET, CHIP CONVEYOR, 8’’ CHUCK, S/N 986, LOW HOURS. 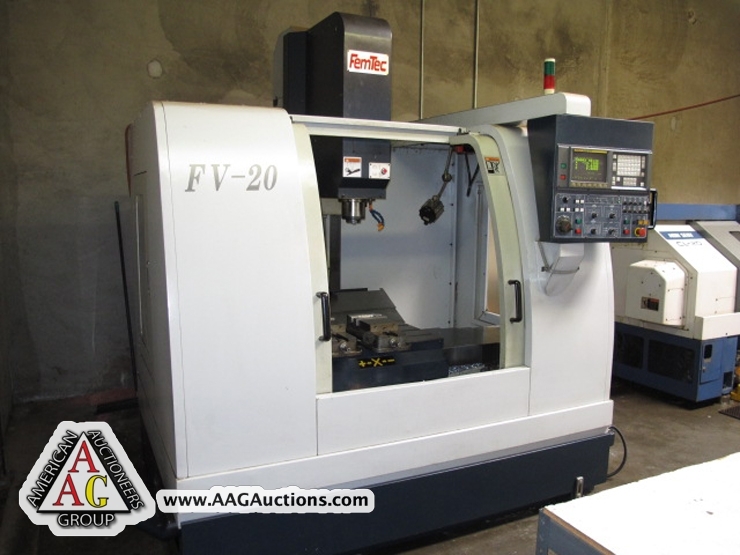 2000 FEMTEC MODEL VF-20 CNC VMC, WITH FANUC OM CONTROL, CT-40 TOOLS, 20 ATC, 25’’ X 20’’ X 22’’ (XYZ), 8000 RPM, S/N V9907112, LOW HOURS. 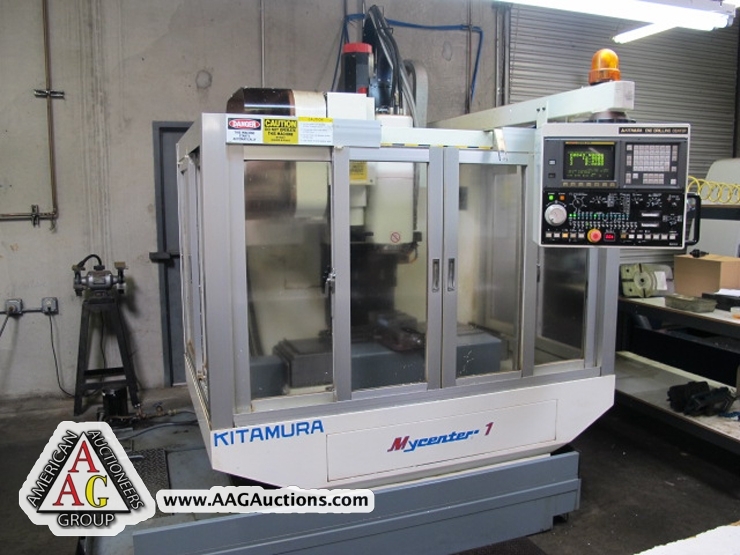 1999 KITAMURA MYCENTER 1 CNC VMC, WITH FANUC OM CONTROL, 20’’ X 14’’ X 16’’ (XYZ), BT-35 TOOLS, 20 ATC, 13,000 RPM SPINDLE, S/N 03161, LOW HOURS. 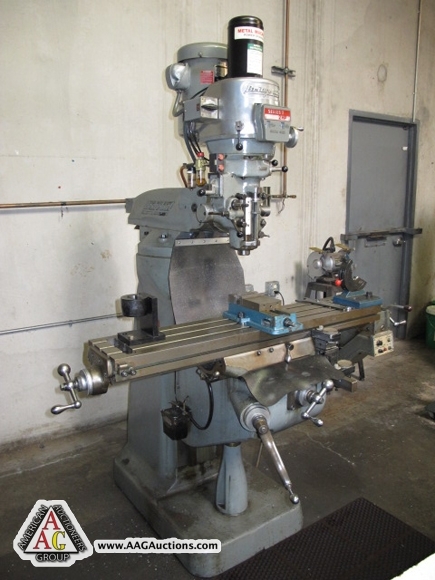 BRIDGEPORT VERTICAL MILL, 2 HP, VAR. 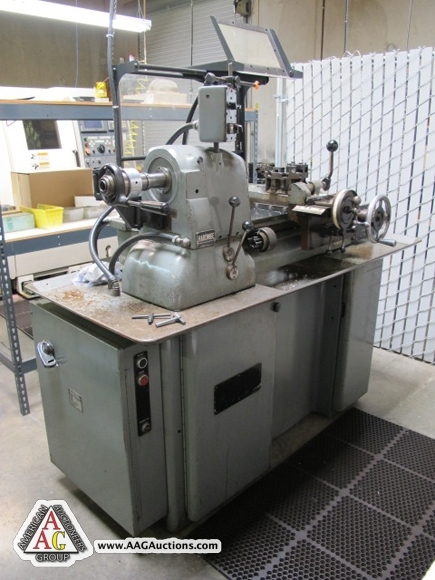 SPEED, CHROME WAYS, POWER FEED TABLE, 9 X 48. 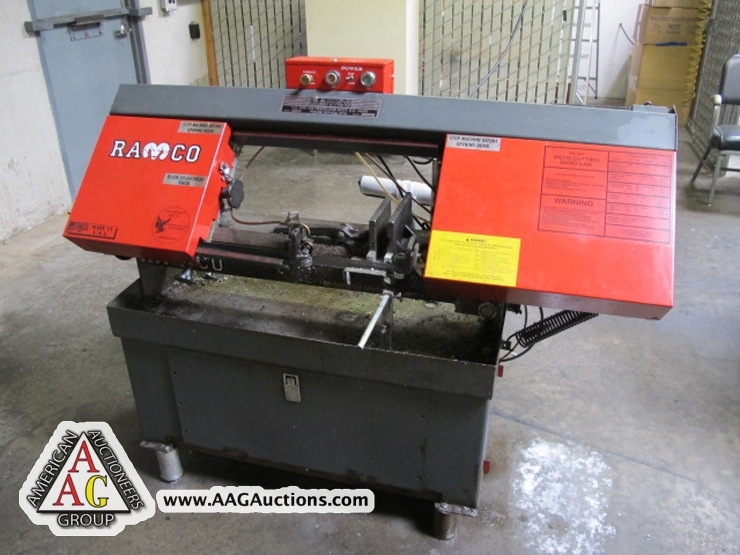 HARDINGE PRECISION HC CHUCKER, S/N HC-3801-N.
RAMCO MOEL RS 100P HORIZONTAL BAND SAW. 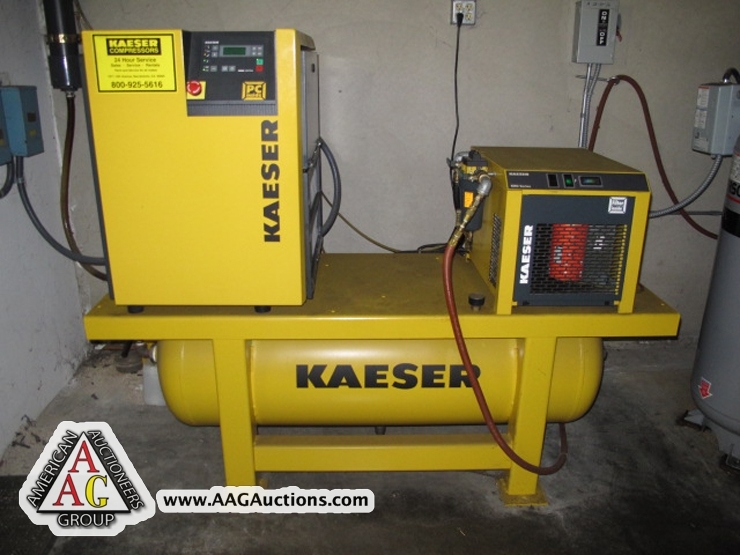 KAESAR SM-11, 10 HP ROTARY SCREW AIR COMPRESSOR WITH KRD SERIES DRYER AND TANK. 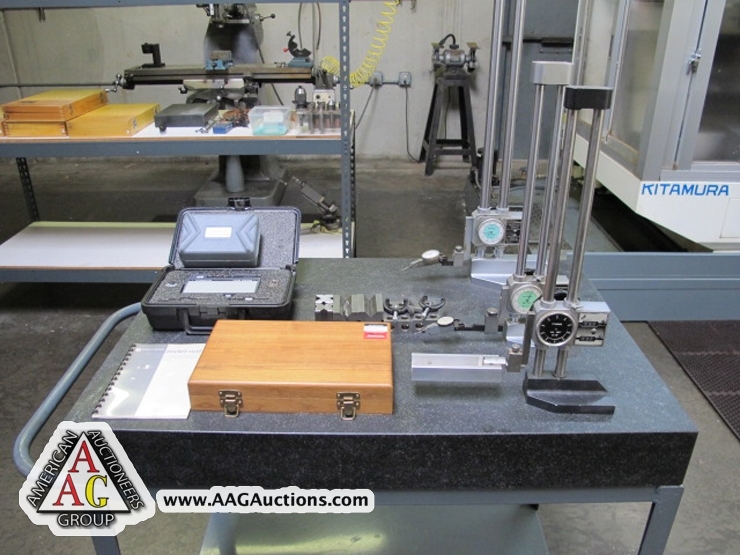 VARIOUS INSPECTION TOOLS, GRANITE SURACE PLATES, HEIGHT GAGES, MICS, GAGES. BROWN AND SHARPE POCKET SURF. 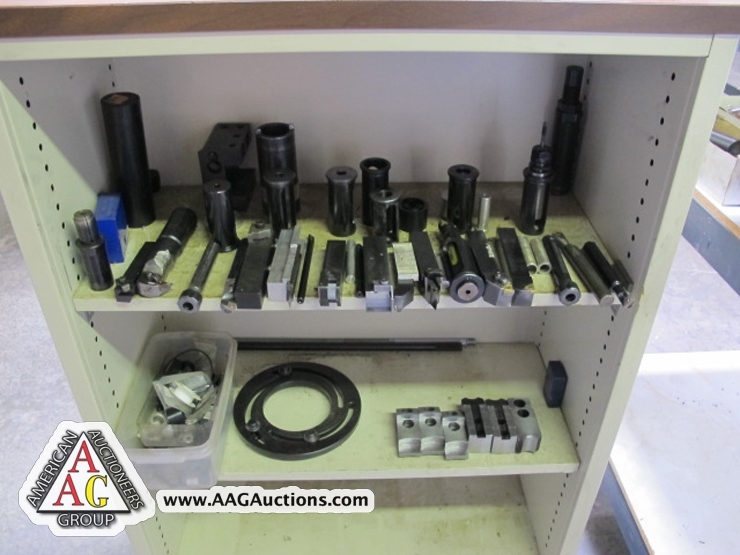 HARDINGE TOOLING, BORING BARS, AND CARBIDE TOOL HOLDERS.